The State Chairman of the party Francis Orogu said the PDP would surprise come 2019. He said that "All Progressives Congress (APC) has no chance in 2019 with what we are experiencing today, the PDP will change the change”, he said. Orogu expressed delight that the window in the party has been blocked with the apex court judgement which he said gave Nigerians a new position and a new democracy. He, however, described the purported verbal attacked on social media by some supporters of the All Progressives Congress (APC) as an “affront on the personality of the opposition”. 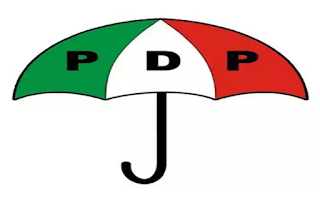 The chairman further assured PDP members in the state that impunity would be reduced to the barest minimum for the party to forge ahead., adding: “Power sharing and rotation will enable every member of the party in the state to taste power”. “Power sharing and rotation will enable every member of the party in the state to taste power,” he said.